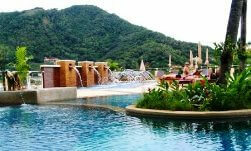 There is a maze of wonderful Phuket Hotels and Resorts across the Island. The hardest question is which one of the many hotels and resorts is the right one for you? Maybe you are looking for an exclusive, luxury resort with all the extras. Or perhaps you're bringing the kids, and want to stay in one of the many family friendly Phuket Hotels & Resorts, with activities and kids clubs to keep the little ones occupied. Or does your budget dictate what type of accommodation you can afford? 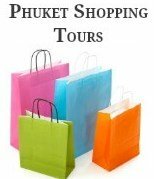 To help you decide on the best place to stay we have selected several Phuket hotels and resorts that we have stayed in to review, which are listed below. Just click on the read more links to find further information about these Phuket hotels and resorts. 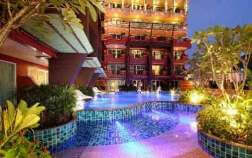 Millennium Resort is located in Patong, close to the Beach and the nightlife of Bangla Road. 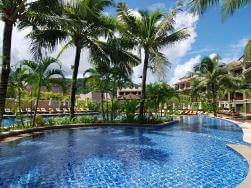 The 5 Star Andaman Embrace Resort is located towards the northern end of Patong Beach. The Amari Phuket is perfect for those who want to stay in Patong. 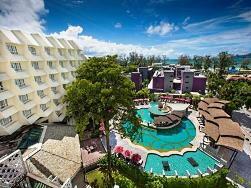 The Horizon Patong Beach Resort is located across the road from Patong Beach. The Marriott Merlin Beach Resort is the perfect choice for that much needed getaway. 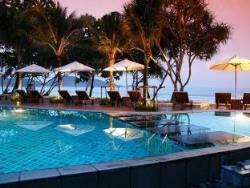 Chanalai Garden Resort is located on the hillside overlooking Kata Beach. The Peach Hill resort is set in a perfect location only a 5 minute walk to either Karon or Kata Beach. 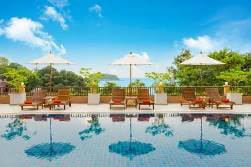 The Andaman Seaview Hotel is a luxury 4 star Phuket hotel located at the southern end of Karon Beach. 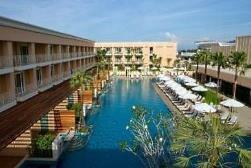 Karon Princess Hotel is a very good 3 star hotel. 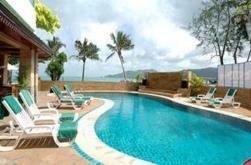 The Blue Ocean Resort is located close to Jung Ceylon and only a 5 minute walk to Patong Beach. 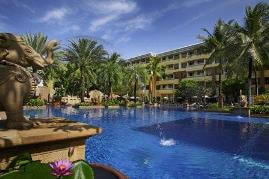 The Thavorn is a 4 star resort, located across the road from Karon Beach. 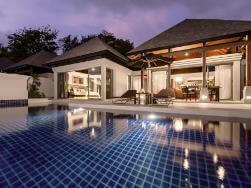 The Phuket Pavilions 5 star pool villas overlook Layan & Bang Tao Beaches. 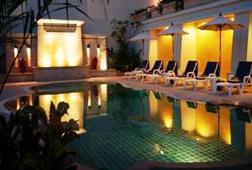 The Allamanda Serviced Apartments are located at Bang Tao Beach. Golfing enthusiasts will love the close proximity to the Laguna Golf Club. 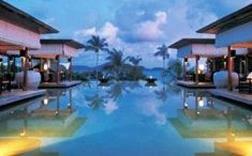 The Evason Resort & Spa was located on the South East coast of Phuket. 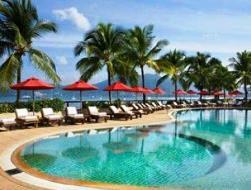 Kata Poolside Resort is a small 3 Star Resort located in Kata. 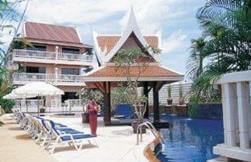 The Avantika Boutique hotel is situated on the far southern end of Patong Beach. 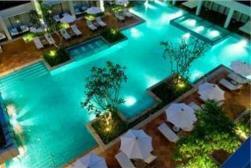 The Burasari is a 4 star boutique resort, ideally situated just a short walk from Patong beach. 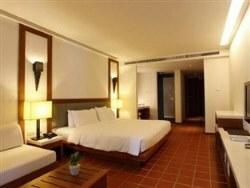 Patong Paragon Hotel is a 4 star hotel located at the quieter northern end of Patong. 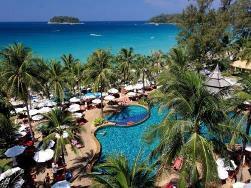 Sunset Beach Resort is located in the quieter area of Kalim Bay, just north of Patong Beach. 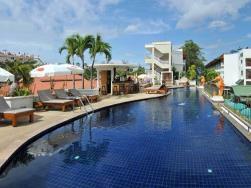 Banthai Beach Resort is located in the heart of Patong. 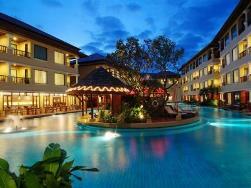 Alpina Phuket Nalina Resort is located at Kata. Hidden in a peaceful area but within walking distance to the beach. The Bay & Beach Club was once the Patong Bay Garden Resort. 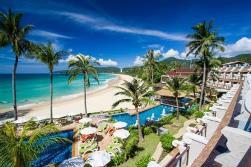 The Absolute Seapearl Beach Hotel is a 3 star hotel located at the southern end of Patong Beach. 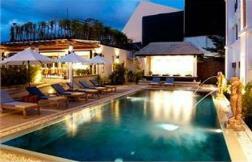 Leelawadee Boutique Hotel is 3 Star hotel located 15 minutes walk from Patong Beach. 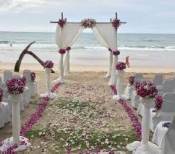 Beyond Resort at Karon Beach is an adults only 4 star resort. Beyond Resort Kata is perfectly located directly on the southern end of Kata Beach. 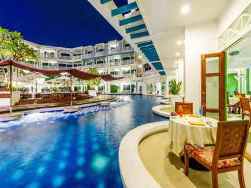 The Phuket hotels and resorts that we have reviewed range from upmarket Phuket hotels and resorts that provide luxury vacations to family friendly resorts as well as a mix of low cost budget hotels. They all offer great value for money, in the best locations, with a range of facilities and special attractions. Most importantly, the reviews of these Phuket hotels are written by real travellers, not by the hotels, travel agents or their companies. When planning your holiday vacation on the Island, picking the right type of accommodation that best suits you and your family or friends, can make or break your trip. If you are travelling on a budget we have a few tips that we would like to share with you, on how and where to find cheap hotels as well as sourcing the best room rates and deals. Or maybe you are holidaying with a large group of family or friends and would prefer to look at staying in a vacation rental. We have also reviewed a selection of family friendly resorts that we have found to be excellent, if you're travelling with kids.